Chemical Guys vs. Adam’s: Which is Better? Whether you’re a regular car user or an avid car enthusiast, this Chemical Guys vs. Adam’s comparison guide will be a great read for you. Car detailing products can help you keep your vehicle in good shape. From your car’s body to its wheels; car detailing products can help you keep the interiors and exteriors of your car sparkling clean. Car wax, car wash, wheel wash, the list of car detailing products is endless, and it’s not easy to pick the best ones for your vehicle. Nevertheless, I’m here to help you. Two of my favorite brands that sell top-quality car detailing products are Chemical Guys and Adam’s. All the car detailing products that I use belong to either of the two brands. So, in this guide, I’ve put together a detailed comparison between three best-selling car detailing products by each brand. Read further to check the Chemical Guys vs. Adam’s comparison. Car exterior care is something I’m really particular about. While maintaining the interiors is equally important, my primary focus is keeping the body of my car shining and clean. If you’re looking for a complete car exterior detailing kit, Adam’s Exterior 6 Pack can be a great choice. The kit comes with all necessary car exterior detailing items at an affordable price. Basically, Adam has included all the top-rated car exterior care products in one handy pack. I start with the Car Shampoo and move on to the Super VRT. The VRT is a good product for cleaning the rims and tires. If I notice any minor dents or scratches on my car, I use the Revive Hand Polish to coat the exterior and reduce their visibility. If you want more sheen on your car’s body, you can use Adam’s Brilliant Glaze. I personally do not like a lot of shine, so I skip this one. And, lastly, I add two coats of Adam’s Buttery Wax to protect my car’s body for months together. Whether you’re new to car exterior detailing or a pro, Chemical Guys Best Wash and Dry Kit is all you need to give your car a gorgeous look. I simply love this kit. The Mr. Pink Shampoo and Cleaning Soap removes all the grime and dirt and leaves your car’s exterior shining. If you feel the shampoo isn’t enough, you can use the Gloss and Citrus Wash to thoroughly remove the remaining grime and dirt. The best part about this kit is that a heavy-duty detailing bucket with lid and dirt trapper is included, so you don’t need to use random buckets each time you wash your vehicle. The high-quality Chenille Microfiber Wash Mitt separates the debris and dirt while you’re scrubbing your car’s exterior and ensures there’s no scratches. The After Wash Shine removes the retained water from the surface. Gently use the Miracle Dry Absorber Microfiber Towel to thoroughly remove water and any remaining product from the car’s surface. You’ll be surprised to know that you can cover the bucket with the lid and use it as a stool while you wash the tires. I find this feature really interesting. 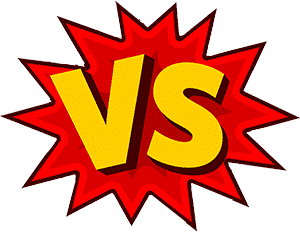 Chemical Guys vs. Adam’s – Which exterior car detailing kit is the winner? Based on the reviews and ratings of existing customers and my experience, I’m declaring Chemical Guys Best Wash and Dry Kit as the winner. The price of this kit is lower than Adam’s Exterior 6 Pack, and the products are much better and heavy-duty. The Heavy-Duty Detailing Bucket with Lid and Dirt Trap is something that makes the Chemical Guys Best Wash and Dry Kit the first choice of all car enthusiasts and car exterior detailing professionals. While the comprehensive car exterior kits contain products that I can use for cleaning the wheels and rims, I prefer going for individual car wheels and rims kits. These kits contain products are solely meant for the wheels and rims. If you’re looking for a good wheel cleaner to get rid of the metallic contamination and brake dust build-up on your vehicle’s wheels, Adam’s Deep Wheel Cleaner is all you need. There’s something special about Adam’s Wheel Cleaner formula that you won’t find anywhere else – the color changing technology. 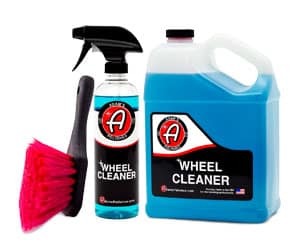 The Wheel Cleaner solution changes its color from blue to purple as it starts working on the wheel to remove brake dust and metallic contamination. Whether the wheels of your vehicle are factory powder coated, factory clear coated, or factory painted, the product is 100% safe to use. I’m using the product for my sports cars and it works really well for modern sports brakes. To use the product, all you need to do is spray it on the wheels. As it starts working, the color of the solution will change to purple. Now, use the Turbo Stick and Wheel Brush to scrub the wheel and remove the contaminants. Rinse off the Wheel Cleaner solution and you’ll be surprised to see the results! Occasionally, I also use the Chemical Guys Ultimate Wheels and Rims Kit which includes different products that can reduce the brake dust build-up by almost 80%. 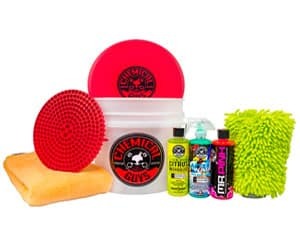 The best degreasing, cleaning, and wheel protection products by Chemical Guys are a part of this kit. Whether you want to clean a painted rim or anodized wheel finishing, you can use these products without worrying about the wheels or rims getting damaged. The Sticky Citrus Gel and Diablo Gel come together to work on the brake dust build-up. Using the Wheel Brush, you can clean areas that are hard to reach. The VRP dressing provides the wheels with a long-lasting shine that is dry to touch. Overall, a great buy for car enthusiasts. Chemical Guys vs. Adam’s – Which car wheels and rims kit is the winner? We actually have a clear winner here: Adam’s Deep Wheel Cleaner. The extent to which the Wheel Cleaner removes the brake dust build-up is much better than the results observed after using Chemical Guys Ultimate Wheels and Rims Kit. 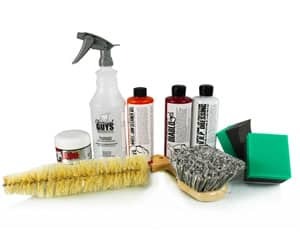 Even though the Chemical Guys kit comes with more products, the single Wheel Cleaner solution by Adam’s beats the kit, especially the color changing technology where the Wheel Cleaner changes it color from blue to purple as soon as it starts working on the metallic contamination and brake dust build-up. In the previous sections, I picked a category and compared products by each brand. However, my approach will be somewhat different here. Now, I will talk about two top-rated standalone car exterior care products – Adam’s Car Wash Shampoo and Chemical Guys InstaWax. I’m using both the products for different vehicles that I own and want to share my experience with you. 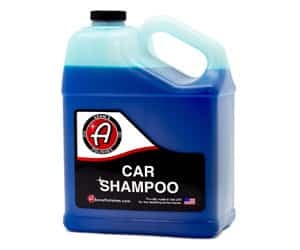 If you’re specifically looking for a car wash shampoo with neutral pH, the Car Wash Shampoo by Adam’s is all you need. It works well with all kinds of surfaces without removing the wax. If you’re fond of foam, you’ll be delighted to know that Adam’s Car Wash Shampoo is one of the foamiest shampoos I’ve ever seen. Only a few drop can form a rich lather. The deep blue color of the shampoo and the pleasant berry smell are two things I really like about the product. It is indeed one of the best shampoos I’ve ever used. 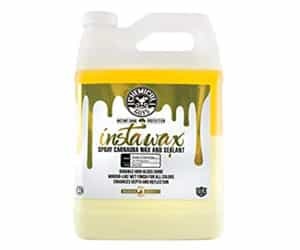 While traditional car waxes are tedious, messy, and take a lot of time to apply, Chemical Guys InstaWax Liquid Carnauba Shine and Protection Spray is a car that is suitable for all car models. Irrespective of the color of your vehicle, this wax will protect your vehicle from bird and bug stains, pollution, water spots, etc. It takes hardly a few seconds to spray on the InstaWax. I’ve used it with my red, silver, white, and sky-blue cars, and the results were stunning. You can even use the wax with your motorcycle or truck. InstaWax is made of advanced UV blockers that protect your vehicle from the harmful UV rays of the sun. All you need to do is spray on the wax over a clean vehicle surface, allow the wax to dry, then gently rub it with a fine microfiber towel. Synthetic sealant technology for long-lasting protection from air borne pollutants, contaminants, etc. Now that you’ve gone through the detailed comparison and product reviews of top-rated car detailing products by Chemical Guys and Adam’s, are you able to pick the product that would suit your requirement the best? As you’ve already seen in the earlier sections of this guide, when it comes to car exterior detailing products, Chemical Guys is the choice, and when it comes to wheel and rim kits, Adam’s is the winner. What does this mean? It’s not easy to pick an overall winner. Select products by both the brands are best-selling in their respective categories. Moreover, Adam’s Car Wash Shampoo and Chemical Guys InstaWax are two standalone car exterior care products that are neck to neck in the race to become the best car exterior care products on the market. However, if you talk about my personal choice, I really like Adam’s products. Even though the Chemical Guys kits contain more products, Adam’s products are simple and easy to use. I use both the brands off and on as I’m fond of testing new products regularly. I hope you found my Chemical Guys vs. Adam’s comparison guide useful. If you have any questions about either of the products mentioned in the guide, feel free to post your questions in the comment section below. 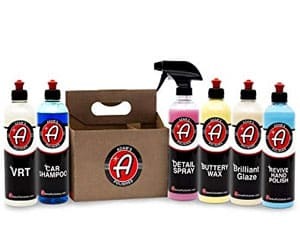 Chemical Guys vs. Adam’s: Which kit is the winner? Chemical Guys vs. Adam’s: Which car wheels kit is the winner?